We were thrilled to host Mr. Gregory Hamilton, President of Aviation Week last week. 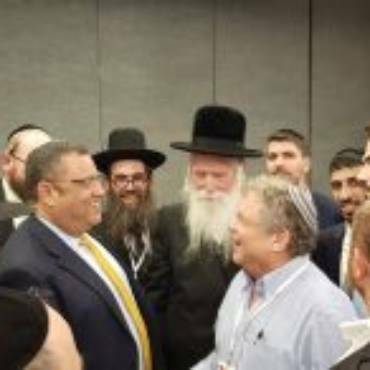 Mr. Hamilton witnessed last week the stellar achievements of Israel Sci-Tech Network Schools. His trip was initiated by Dr. Charlotte Frank, Senior Vice-President at McGraw-Hill (publishers of Aviation Week) and member of our American Board. Mr. Hamilton and his wife first visited Tsimtbaum Sci-Tech School where principal Gregory Pozianski and his management team guided them on a tour of the school. They visited the Frank Aerospace Study Center donated by Dr. Charlotte Frank family that includes a planetarium, an observatory and an aerospace lab. A highlight of the tour was a meeting with students studying engineering, aviation and aerospace. These enthusiastic students explained their projects in English. Mr. Hamilton was particularly impressed that these students are tutoring primary school students in the Frank Aerospace Center. Mr Hamilton’s next stop was the Israel Sci-Tech Aviation and Space College in Ma’aleh Adumim, an innovative, world-class institution and joint venture with the Israeli Air Force. Principal Nissim Eluz explained the various study tracks at the school and how students’ academic achievements have exceeded all expectations. 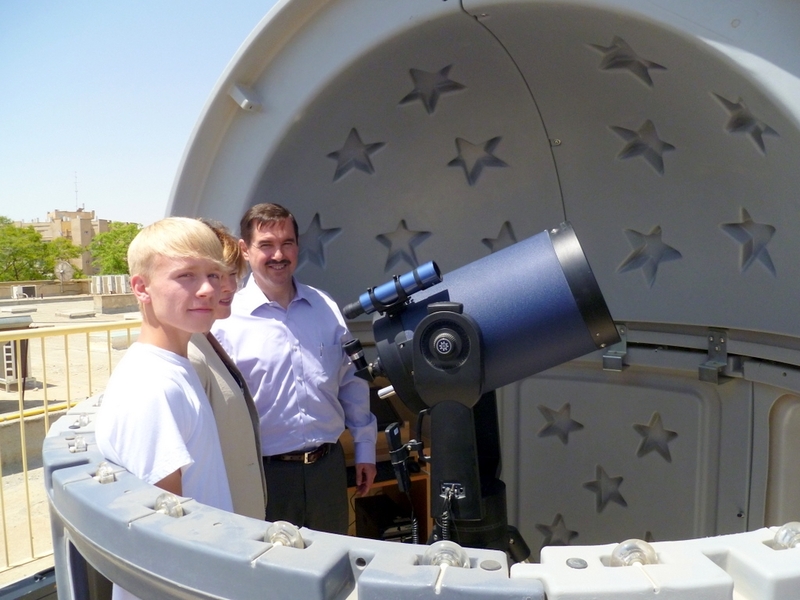 Mr. Hamilton saw the school’s special planetarium and telescope for astronomical and astrophysics studies. A female Air-Force cadet student briefed Mr. Hamilton on her study program and future career aspirations. The students were keen to discuss their interests with Mr Hamilton and eagerly described how Aviation Week, a valuable resource in their studies, can be more accessible through the use of interactive media.